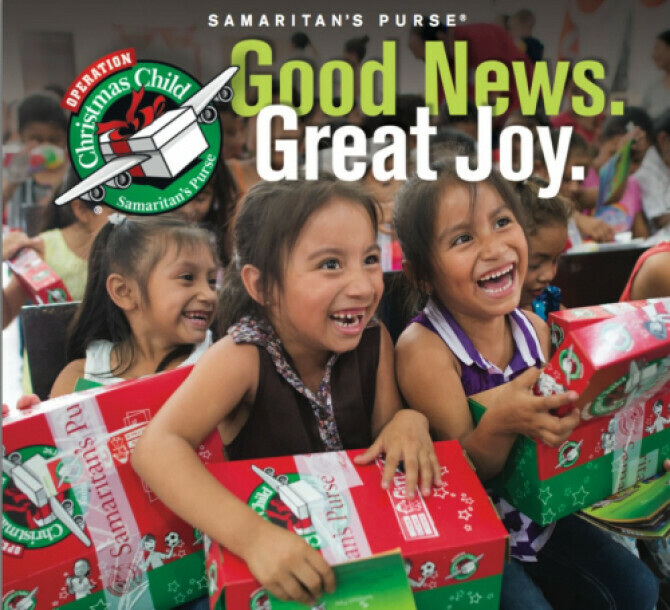 It is time to hang a new 2018 calendar and , also, time to begin thinking about the Operation Christmas Child Shoeboxes for Christmas. We completed 200 boxes this year - down from 2016. let's make an effort to complete 300 boxes in 2018 which is closer to the number we were able to provide in 2016. The few ladies who volunteer to package the boxes are to be commended for their hard work, but let's try to make their work a little less demanding by bringing our items ready for the boxes, as suggested below. You are encouraged to select an age group (2-4, 5-9, 10-14) and gender (boy/girl) and buy items for a child of the chosen age and gender. Attach a sticky note or tag with the age group and gender indicated. Any item will be accepted at any time throughout the year. Donation boxes are available throughout the building. Your help is needed for us to reach our goal for 2018 in order that children will have a Christmas gift and know god's love.